Veterinarians and Pet Nutrition are now favouring a natural raw food diet for Cats. At Regal Pet Foods our scientifically developed raw food products are PH balanced to match gastric PH. Help Eliminate an urinary tract infection and aid digestion and nutrient absorption. 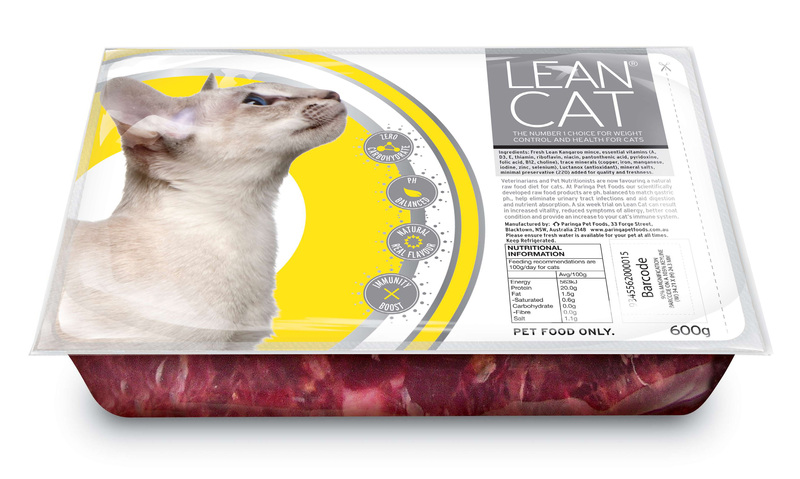 A Six week trial on Lean cat can result in increased vitality, reduced symptoms of allergy, better coast condition and provide and increase to your cat’s immune system. Pack size is 2 x 100g – easy to serve, easy peel top film layer & mess free.